For one couple from Tulbagh, sharing their love and making others smile is all in a day's work. BACKGROUND: Charlene and Heino are a newly-married couple. They have two children: an eight-year-old son Arun - whom Charlene adopted at birth, and a six-year-old daughter, Suandrie, from Heino’s previous relationship. They met at the local vet in Tulbagh, where they both work. Charlene is an office manager and Heino is an assistant. The two vets they work for were oblivious to the 'office romance' for two years. 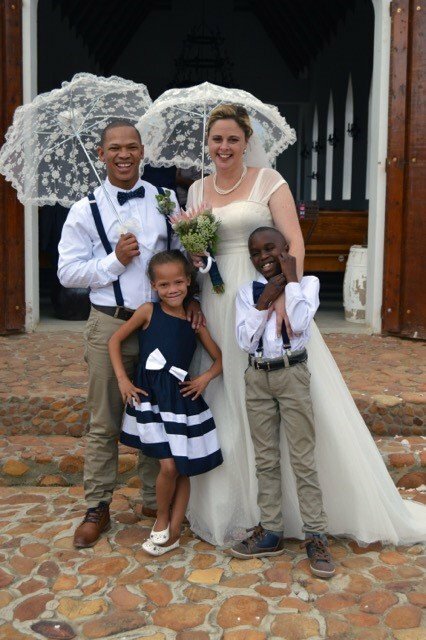 Charlene and Heino’s romance blossomed and on 2 December 2017, they became a married couple. People who know them say they brought the small town of Tulbagh together with their union at a beautiful ceremony at the Montpellier Wine Estate - one of the oldest wineries in the region. They didn’t go on honeymoon as they couldn’t afford it, but the family scraped together all they had for the wedding day of their dreams. Just a week after the fairytale wedding, the couple were shocked by unexpected news. Charlene fell ill, had a seizure, and was rushed to the doctor. She was sent for tests and scans at the state hospital, as they do not have medical aid. Charlene was diagnosed with a three-centimeter brain tumour. She will go for more scans on 23 February and then go on the long waiting list. Charlene and Heino are devastated and very worried. Concerned residents of the tiny town of Tulbagh asked Good Morning Angels to help this family to stay together and healthy for their children and the town, for many more years to come. SPONSORING: Dr Duncan Chula is a neurosurgeon from Pretoria. He will assess Charlene’s medical condition. If it is safe to do so, Dr Chula will remove the tumour at the Life Eugene Marais Hospital at no cost, through Operation Healing Hands. SPONSORING: Sure Glenwood Travel has partnered with Operation Healing Hands and will fly Charlene to Pretoria for her medical assessment and treatment. They will fly her back home to the Western Cape once she has recovered. YOU CAN SUPPORT OPERATION HEALING HANDS: All the Operation Healing Hands private doctors, medical staff, practitioners, and hospitals give their time and services for free, but consumables used during operations need to be paid for. You can make a donation to make more operations possible, or find out more by emailing: [email protected] or visiting www.ohhsa.net. This is the medical report for Charlene Wrigley. Eight years ago, she adopted a new-born baby girl, with Alcohol Foetal Syndrome, after her birthmother left her at the hospital. 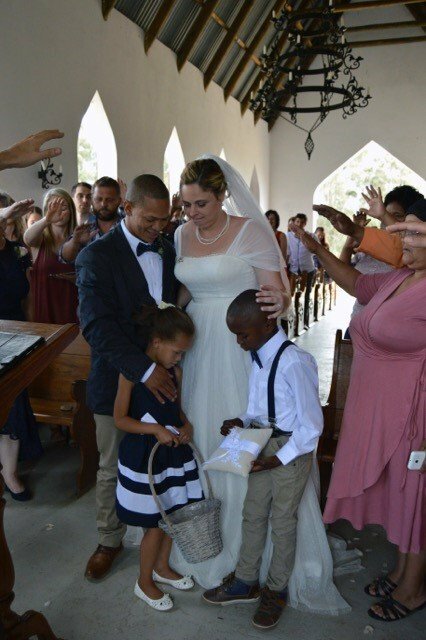 After working as a receptionist at the Tulbagh Vet she fell in love with a worker at the Vet and they recently got married in a wedding that brought the entire community together. One week after the wedding Charlene had a seizure and was diagnosed with a brain tumour as per the attached doc. They are a family of little money and are still paying off their wedding. The extra medical bills for a procedure would be unaffordable to them. These are people who selflessly help the poorest of the poor with their animals in the community. Please can you request if Operation Helping Hands would want to launch a Western Cape branch with this story or contact Maris Capaldi with the story.